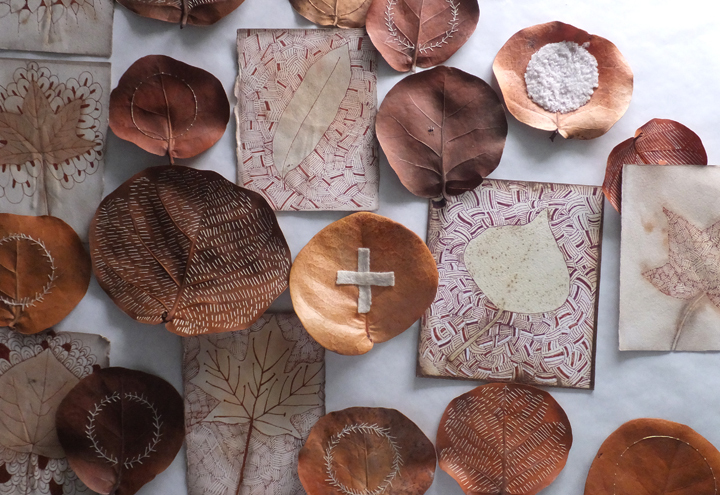 My research/obsession into stitching on leaves continues (#untilmyvisionisblurred). Deciding whether I should or should not care about preserving them and having thoughts about eventual presentation. 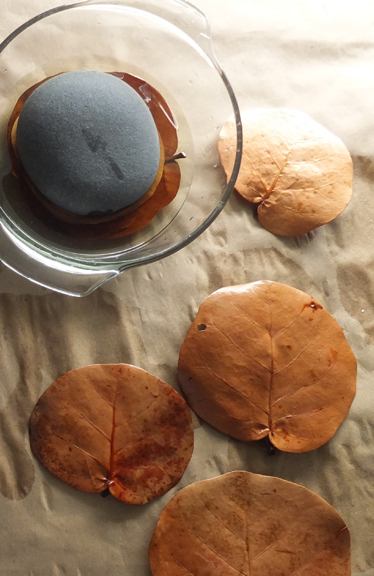 The leaves in the photo above have been pre-treated with gum tragancanth which makes a lovely protective coating and allows for stitching without having the leaf crumble in my hands. 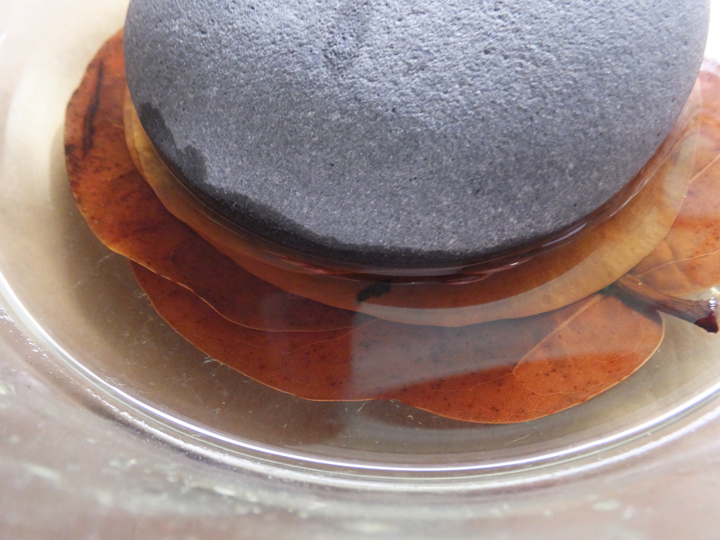 I'm experimenting with soaking the leaves in a glycerin/water solution and after 5 days, the leaves are soft. I'm soaking them before I stitch and/or draw or alter them in some way. I'll be stitching into these leaves next. Pieces of wool fabric hand stitched onto a leaf. Diggin' this.